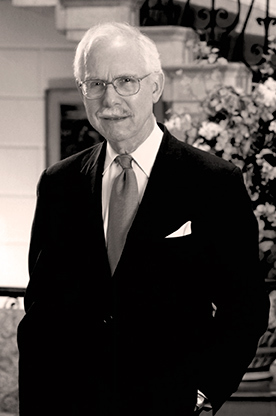 Joseph E. Gore, Esq., the President and Executive Director of The Kosciuszko Foundation from March, 1987 until November, 2008. For exceptional service to the Polish Community in the United States and Poland, which spans over a quarter century, leading the most esteemed Polish organization in the United States, the Kosciuszko Foundation. Joseph Gore helped countless Polish students and scientists to study in the United States and artists to perform on American stages. He lead the enormous effort of sending Americans and the Americans of Polish descent, to learn Polish culture at Krakow’s Jagiellonian University, and directed teams of volunteers to teach English in Poland. The Board of Directors of the Nowodworski Foundation is grateful for his help and input at the time of forming our organization in the 1999/2000. We are proud, that we have survived a difficult time of a conception. Over time we have transformed from “one event at a time” group, towards the organization flourishing in teaching and promoting art and music, in several locations in the New York State supported by grants and public donations. Joseph E. Gore, Esq., the President and Executive Director of The Kosciuszko Foundation from March, 1987 until November, 2008. An attorney by profession he was Corporate Secretary and Assistant General Counsel and the head of the legal department in a Fortune 500 forest products company, spanning a 25-year career. He attended St. John’s University, where he earned both his undergraduate and law degrees. He also received an LL.M. degree in corporate law from New York University School of Law. A Doctor of Humane Letters degree was bestowed on him by Teikyo Post University. Mr. Gore’s tenure at the Kosciuszko Foundation coincided with the politically most crucial time in Poland’s recent history. He strengthened the relationship between American and Polish academic institutions as well as government agencies. To assist in this task, he opened the Foundation’s office in Warsaw. In 1997, he was awarded the Silver Medal of the Jagiellonian University in Krakow. In October 2000, the President of Poland bestowed on Mr. Gore the Knight Commander’s Cross. In 1998 he received a commendation from the Comptroller of the City of New York. He is a member of the U.S. Supreme Court, the Supreme Court of the State of New York and the U.S. Federal Court in New York and is also a member of the American, New York and New York County Bar Associations and a member of the Advisory Council of the Polish Institute of Arts and Sciences of America. Under his management the Kosciuszko Foundation published Polish Masters from the Kosciuszko Foundation’s Collection and a new two-volume Polish-English, English-Polish Dictionary with CD-ROM containing Polish and American English pronunciation. The dictionary is also available an internet platform, whereby subscribers can access it online for various periods of time. 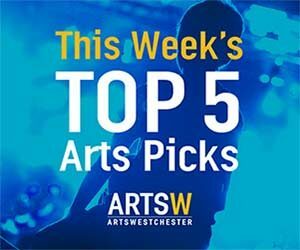 Click HERE to Discover Weekly Top 5 Arts Picks, highlighting a rotating short list of different cultural events each week in Westchester.